Until a year or two or ago, I tried very hard to keep these identities separate. The first academic paper I wrote when I was studying architecture was dismissed as an extended prose poem. From thenceforth it was very important for me to separate those lives. When I lived in Berkeley—across the bay from San Francisco—that was where I was an academic, and San Francisco was where I was a poet, and never should the two meet, right? But poetry is also a way of noticing patterns, of looking for events and images that rhyme or have associations. And maybe there is a kind of poetry in the juxtapositions of history: the place in the Utah desert where the telephone network is sabotaged is also the place where the artist group Ant Farm imagines a network out of truck stops; the bunker in Virginia built to house the US financial system in the event of a nuclear attack is now the place where the nation’s film reels are kept in cold storage. I think conspiracy and paranoia are just what the cloud needs, if I can ascribe the cloud agency. The system works like a massive pyramid scheme—we all need to believe that it’s everywhere in order for it to be everywhere. I remember talking to someone who knew Facebook was a problem, but even she became annoyed when one of her friends left Facebook: “What do you mean you left Facebook, we’re all on it, we all agreed to be on it, so why do you get to opt out?” That’s the mechanism that the cloud employs; we assume that everybody is a user, that everybody is on it and freely engaged in these practices, and we feel personally offended when that’s not the case. Now, of course, the cloud isn’t everywhere, this is a particularly Western view and that’s why the book takes America as the prime example of this way of thinking. Americans think freedom means market freedom and the free movement of goods, and get violently offended when this is not the case. Our model is basically that if you’re not free, we will bomb you until you are free. The idea of conspiracy, as Jameson tells us, is totalizing. 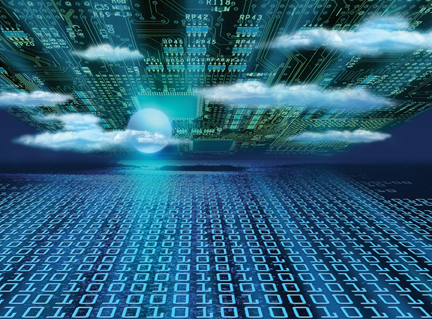 That’s the idea of The Cloud, rather than the clouds; there is one cloud that we are all supposed to subscribe to. I think that’s the reason why paranoia about security is always part of the way that the cloud is produced, rather than unmasked or exposed. This is one reason why understanding some technical aspects of the cloud—the way it fails and doesn’t cover much territory—could change our image of it, away from one totalizing entity. Oddly enough, given my examples, the book’s goal is to get us away from simply talking about paranoia or even control, which is the dominant model now in new media studies. My problem with the “control society” model is that not only is it totalizing in the way that the cloud is totalizing, but it distracts us in some ways from looking at the real violence that’s been happening all along, so that if we start thinking about gadgets and the way that life is optimized and produced, then we forget the flip-side of that, which is the way that death is also meted out. 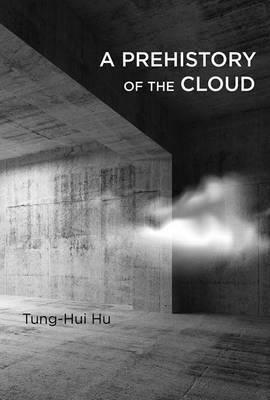 This entry was posted in books and tagged cloud computing, Frederic Jameson, Rhizome, The Cloud, Tung-Hui Hu by Derek Gregory. Bookmark the permalink.